If you’re on the hunt for high style that strikes just the right balance of contemporary and classic, this ottoman is one enticing compromise. Its plush cushioning and richly neutral linen-weave upholstery will have you at hello. 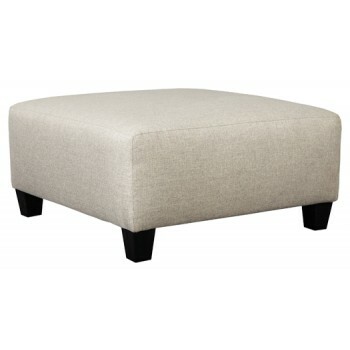 The perfect midway between beige and gray, the ottoman’s pewter-tone upholstery is sure to blend with anything and everything.